Ulrich Zwingli was born the first of January 1481. The world he entered was passing into a spiritual and political ferment in which he would be a prime mover. As a boy he distinguished himself at studies and music. He determined to become a priest and was ordained at the age of 23. Zwingli hand-copied and memorized Paul's letters in the original Greek. Impressed by the reform writings of the great humanist scholar Erasmus, he moved toward reformation even before Luther. The use of young Swiss men as mercenaries especially evoked his ire. Having accompanied two expeditions as a chaplain, he spoke vehemently against the practice which squandered their blood. As priest of Einsiedeln, a city whose income came from pilgrimages, he preached against pilgrimages, too, labeling them a corruption. When an indulgence was sold in Switzerland, he denounced it. The first day of 1519 Zwingli came to Zurich, the city of his life's work. There he continued his battle against indulgences. 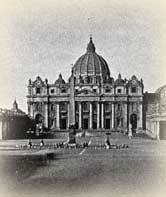 The Pope recalled the seller. Zwingli also announced that he would not read the prescribed lessons but preach the gospel of Matthew instead. 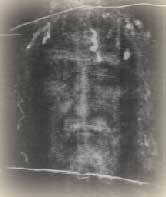 He did so, pouring forth objections to the use of images in the church, to the mass and other practices of the church which he considered to be in error. Christ alone is sufficient for salvation, he said. It is one of the interesting characteristics of the Swiss Reformation that local leaders voted on doctrine, making religious decisions for their constituents. This practice of Zurich was followed by other Swiss Protestants and was one of the stages that led toward the creation of modern democracy. Zurich's town leaders took to heart Zwingli's teaching. It was they, not Zwingli, who ordered that the Holy Scriptures be taught "without human additions." 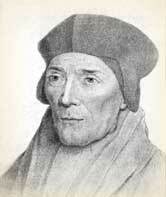 It was they who challenged theologians to convict Zwingli of error if they could. It was they who ordered images removed from churches. Protestant and Catholic in Switzerland remained at odds. The Protestants established a blockade, threatening Catholics with starvation. In 1531 the Catholic cantons marched against Zurich. Zurich's forces ordered Zwingli to take the field bearing their banner. 1,500 men from Zurich faced 6,000 from the Catholic cantons. Under feeble generalship, on badly chosen ground near Kappel, they made critical errors. Failing to maul their opponents at an opportune moment, they allowed them to gain the cover of a beech wood. Then they did not retreat to a safer line while able. About 4:00 PM on this day, October 11, 1531 the Catholics began the assault. Half an hour later the Protestants were wiped out. Zwingli was among the dead. His body was quartered and mixed with dung. 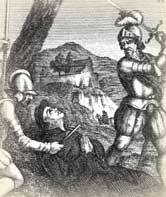 Told the news, Martin Luther, who disliked Zwingli, replied, "all who take the sword die by the sword." Dowley, Tim. Eerdman's Handbook to the History of Christianity. Carmel, New York: Guideposts, 1977. "Zwingli, Ulrich." Encyclopedia Americana. Chicago: Americana, Corp. 1956. 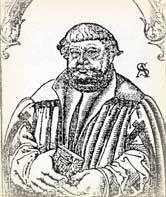 Potter, G. R. Zwingli. Cambridge: Cambridge University Press, 1976. Simon, Edith and the editors of Time-Life Books. Great Ages of Man. The Reformation. Time-Life, 1966. "Zwingli, Ulrich." The Oxford Dictionary of the Christian Church. Edited by F. L. Cross and E. A. Livingstone. Oxford, 1997.